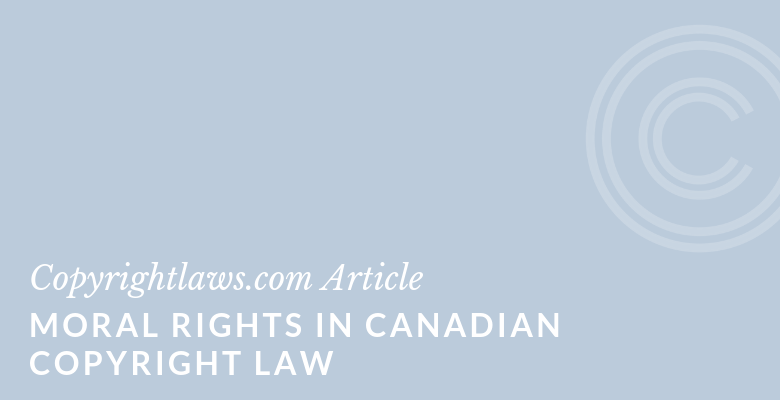 This article describes the moral rights in Canadian copyright law. 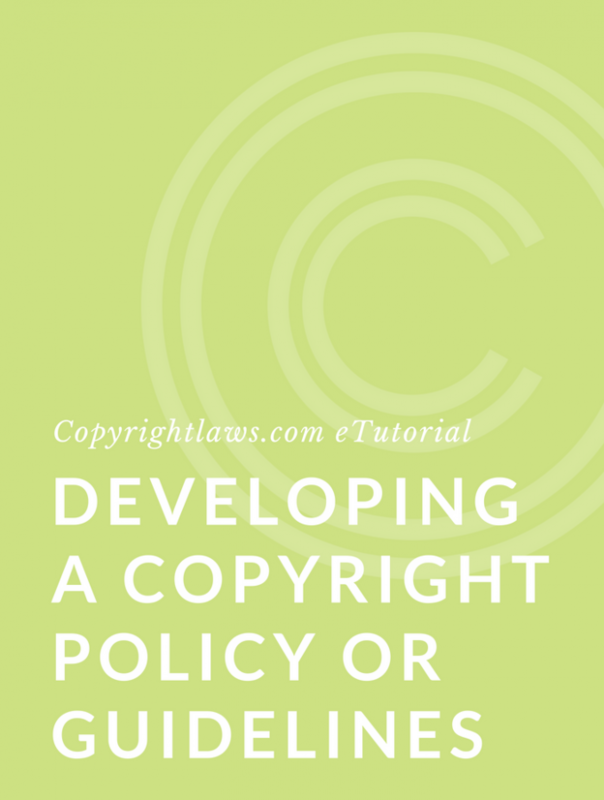 You’ll also find a comparison with moral rights provisions in the Berne Copyright Convention and U.S. copyright law. 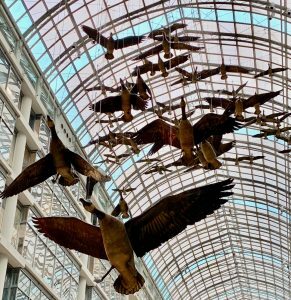 The classic moral rights lawsuit in Canada surrounds the Michael Snow sculpture of geese attached to the ceiling of the Eaton Centre in Toronto. In this case, the Eaton Centre tied red ribbons around the necks of the 60 geese in Flight Stop as a Christmas decoration. The artist, Michael Snow, was not aware of this alteration to this work, nor did he consent to it. Snow went to court and won. Although the Snow case was a copyright infringement, it was, to be precise, an infringement of a specific kind of protection in the Canadian Copyright Act known as moral rights. Moral rights are distinct from the copyright or economic rights in a copyright-protected work. Both international and domestic copyright laws provide for moral rights. The purpose of moral rights is to protect the personality or reputation of the author (and not necessarily the owner) of a copyright-protected work. (1) Independently of the author’s economic rights, and even after the transfer of the said rights, the author shall have the right to claim authorship of the work and to object to any distortion, mutilation or other modification of, or other derogatory action in relation to, the said work, which would be prejudicial to his honour or reputation. The 176 member states, including Canada and the United States, must meet the minimum standards set out in Berne. Each member country must provide for moral rights of paternity and integrity. Countries are free to go beyond these minimums and provide further rights, such as the right of association (provided for in Canadian copyright law) or to withdraw permission to use a work (not explicitly included in the Canadian Copyright Act). Moral rights are separate from economic rights, and even authors who have assigned their economic rights (right to publish, translate, perform in public) may have moral rights. In some countries, an author may waive their moral rights (e.g., Canada), whereas in other countries (e.g., France) authors may not waive their moral rights and may always exercise them. The duration of moral rights varies from country to country, ranging from expiring on the death of the author (e.g., in the U.S.), to 50 years after their death (e.g., in Canada), to perpetual existence (such as in France). A summary of the Berne Copyright Convention is here. This right refers to the author’s right to have their name on a work, to use a pseudonym, and to remain anonymous. Generally, an author has this right whenever they have economic rights in a work, and this right applies in relation to uses covered by the economic rights. For example, an author has the right to have their name of the cover of their book. The right of integrity is the right of the author to object to any changes of their work that may harm their reputation as an author. An example of the infringement of this right is in the use of the Flight Stop as a Christmas decoration. This harm would be a question of fact that would have to be determined in court through the testimony of witnesses. Manipulating a scanned photograph may also be a violation of moral rights if prejudicial to the honor or reputation of the author of the photograph. Mere editing of an article, however, would likely not be an infringement of the right of integrity. The plaintiff is adamant in his belief that his naturalistic composition has been made to look ridiculous by the addition of ribbons and suggests it is not unlike dangling earrings from the Venus de Milo. While the matter is not undisputed, the plaintiff’s opinion is shared by a number of other well-respected artists and people knowledgeable in his field. The court held that attaching ribbons to the sculpture was prejudicial to the artist’s honor or reputation and ordered removal of the ribbons. At the time of the case, the only remedy for moral rights infringement was an injunction (hence the removal of the ribbons), and since that time Canadian copyright law has been revised and moral rights infringement is subject to the full range of remedies as an infringement of economic rights. The use must be prejudicial to the honor or reputation of the author — witness testimony can determine this question of fact. As an example, the sponsorship of an art exhibit by a tobacco company could be prejudicial to the artist’s reputation if it rides on the fact that they’re a no-smoking advocate. The moral rights set out in Berne are intended to apply to all types of copyright-protected works. However, when the U.S. joined Berne in 1989, it took a narrower interpretation of the requirements (and in some circles, a controversial one as to whether the U.S. is in fact complying with Berne). In the U.S., moral rights are arguably protected under various federal and state laws, including explicit protection (through an amendment in the U.S. Copyright Act by the Visual Artists Rights Act [VARA] of 1990). Unlike Berne, VARA protects only one group of authors: visual artists, or more accurately, those who create specific “works of visual art.” For more information about moral rights in the U.S., including the works specifically included and excluded, see Moral Rights in U.S. Copyright Law. See our article U.S. vs Canadian Copyright Law: Which Has Stronger Copyright Protection? 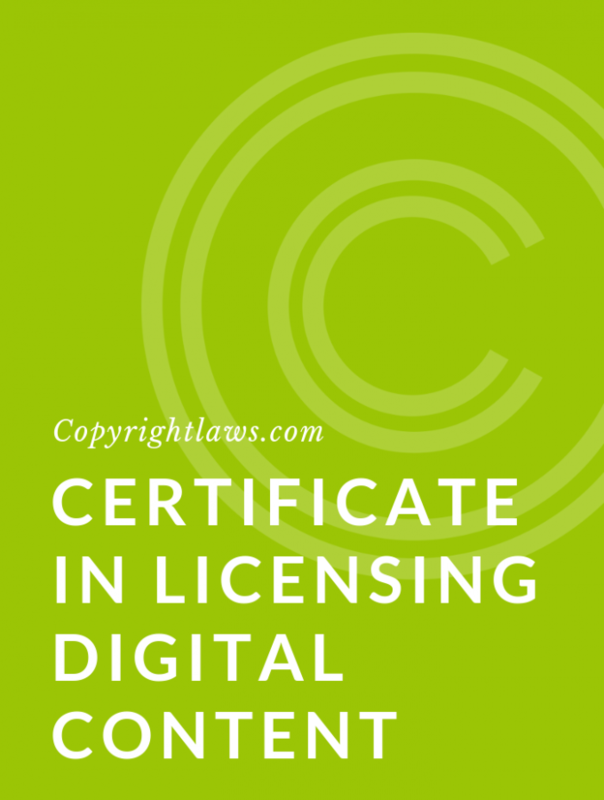 For an in-depth understanding of Canadian and global copyright law principles and legally using third-party content, plus practical tools and strategies you can customize for your particular circumstances, see our fully online program, the Certificate in Canadian Copyright Law. Visit the Centre for Canadian Copyright Law.